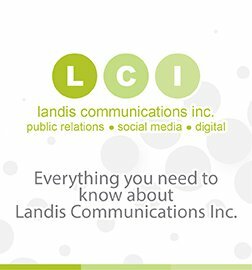 LCI is committed to community relations by supporting the community in which we work. LCI continues to support, among other projects and nonprofits, San Francisco’s Project Open Hand. David Landis has been a volunteer with Project Open Hand since 1988 and currently serves on the Board of Directors. LCI also has provided pro-bono public relations services to support Project Open Hand and its mission. Project Open Hand is a nonprofit organization that provides meals with love to seniors and the critically ill. Every day, the organization prepares 2,500 nutritious meals and provides 200 bags of healthy groceries to help sustain clients as they battle serious illnesses, isolation, or the health challenges of old age. Project Open Hand serves San Francisco and Alameda Counties, engaging more than 125 volunteers every day to nourish our community. Click here to donate online to support Project Open Hand. For more information, please phone Project Open Hand at (415) 447-2300 or email [email protected]. and receive our top ten list for stellar interviews – for free!